Water damage can be caused by many different things and can be a huge problem in your home if you let it go for too long. 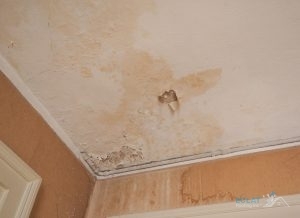 There are many reason that you could have water damage, but the one you should pay the most attention to is roof damage. 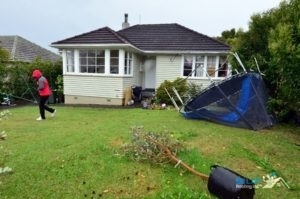 Sometimes in a storm, a roof can get damaged. Even the smallest damage can let water in and a little damage can turn into a major problem later on. This is one of the most important reasons to have an inspector out to your home once a year. They will be able to detect these kinds of things and get them fixed before they end up causing more problems later on. Water damage can happen at any time, so there are a few things you should pay attention to. Brown Stains On Ceiling – This is usually the sign that most people notice first. It is because it is not there one day and the next it is. This means that water has leaked from your roof into the walls of your home. The problem is that if you can see it through your wall, your drywall is probably damaged as well. Mold – Mold is something nobody wants to hear about being in their home, but this is a sign that there is water is your walls. Mold thrives in moist places, so if you see it in your home, it means there is a water leak nearby. If you notice any of these signs, call Eclat Roofing at (214) 373-1500, right away. Posted in Uncategorized on February 9, 2018 at 8:32 pm by Eclat Roofing. Winter temperatures continue in much of the U.S., but the season will be over before you know it. The temperatures, wind, ice, and snow of the winter can wreak havoc on your home, both inside and out. Your home’s insulation is meant to help protect you and your home from the outdoor temperatures, maintain your indoor temperatures, and protect you from moisture damage. Since this type of roof damage can happen over winter, have your attic and roof insulation checked. Check Your Attic and Roof Insulation. When you turn on the heat in your home, that heat rises. 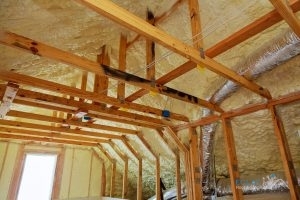 Attic insulation is there to help you keep that heat in your home. However, that heat sometimes makes its way into the attic. Your roof has ventilation to help maintain the right temperatures; if your roof gets too warm when it’s cold outside, you risk excess moisture as a result of condensation. You also risk snow and ice melting and sliding down, but then freezing at the roof’s edge. This creates an ice dam that prevent adequate roof drainage. All that, in turn, causes more moisture that can leak into your roof and attic, causing damage like mildew, mold, and roof rot. The two primary things that help prevent these problems are good roof and attic insulation, and roof ventilation. The insulation helps maintain the right warm temperatures in your home, and the more reasonable temperatures in your attic. The ventilation also releases warm air from the attic so that the roof doesn’t get too warm, as well as allowing some of that cool outdoor air in to balance the temperature. Have your roof and insulation checked after winter. Make sure that your roof insulation and ventilation were enough to protect your roof. You can also make sure that your attic and roof are in good shape, address any issues, and be set for the rest of the year. We can help at ECLAT Roofing, Inc. Just call us at (214) 373-1500 for roofing services in Dallas and Fort Worth, TX. Posted in Uncategorized and tagged roof insulation on January 5, 2018 at 4:59 pm by Eclat Roofing. A Fallen Tree is the Most Severe For of Storm Damage. It doesn’t matter where you live, at some point your roofing system is going to endure a severe storm. When this happen, you will likely have roof storm damage that requires immediate attention to protect your home from water damage. Roof storm damage should never be ignored and the repair should be completed as soon as possible to protect the integrity of the building. 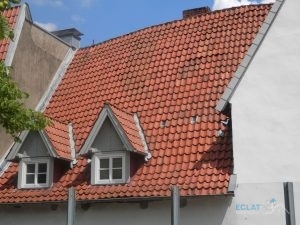 Eclat Roofing offers services for all types of roof storm damage. What Kind of Roof Storm Damage Do You Have? Different types of storms can cause different levels of damage to your roof. Here are three of the most common forms of roof storm damage. The defining feature of hail damage is dents or dings all across your roof in a random pattern. The dents can range in size from small to very large, depending on the size of the hail stones. Other signs that your roof has been damaged by hail include cracked shingles or asphalt shingle granules built up in your gutters. Strong winds can peel the roofing materials right off your roof. Winds can also damage your chimney, causing it to crack or lean to one side. You may also experience damage to your home’s siding, which is caused by debris flying through the air. 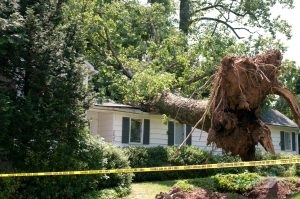 The most significant roof storm damage is caused by a tree falling on your house. This is actually considered a roofing emergency, and it is recommended that you evacuate your home. Repairs for a fallen tree on your roof are extensive and may involve structural repair to the framing of the roof. Contact our office at (214) 373-1500 for roof storm damage repair on your house. We are here to keep your home and family safe. Posted in Uncategorized on November 30, 2017 at 5:48 pm by Eclat Roofing. There Are a Number of Reasons to Consider TPO Roofing. Are you in the market for new roofing for your commercial property? There are many commercial roofing materials to choose from, with TPO roofing being one of them. A TPO roof is a great material to choose from, with this roofing system having a lot of benefits. 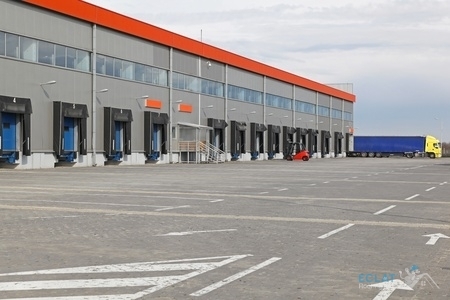 Below are reasons you should consider a TPO roof for your building. Roofing can be very expensive, but it is completely necessary. Fortunately, TPO roofing is actually very affordable in terms of commercial roofing. We all want a commercial roof that is able to withstand a lot, from bad weather to outside elements. TPO roofing is great because it is resistant to impact and punctures, mold, and even dirt. It is even resilient against the UV ray from the sun, keeping it looking new and not worn out. Easy installation for customers means they can get their roofing system faster. The TPO material is manufactured into wide, lightweight sheets that are large enough that there won’t be that many seams. Because the material of TPO roofing is made from a reflective material that is able to bounce heat off the roof in order to keep your building cooler during the summer months, and warm when its cold outside. This is able to save you a lot of money. If you are interested in TPO roofs for your Dallas, TX commercial building, call Eclat Roofing at (214) 373-1500 today. Posted in Uncategorized on October 25, 2017 at 8:30 pm by Eclat Roofing. What Are the Benefits of Cleaning Your Gutters? The Benefits of Cleaning Your Gutters. The function of your roof gutters plays an important role in the performance and longevity of your residential roofing system. While they are incredibly important to our roof, we tend to forget to clean them out. It might not seem like a big deal, but unkempt gutters can lead to a lot of problems. So although gutter cleaning is less than desirable, there are a lot of benefits. But what are the benefits of cleaning your gutters. Below are a few benefits. Because our gutters run water off the roof and keep water from our home’s exterior walls, it’s important that they aren’t leaking. Sometimes when gutters are older who have too much debris in them, they can crack. Checking for cracks in the gutters can prevent leaks. Built up water in the gutter due to a gutter that is full of leaves and debris, can cause the gutters to overflow with water, which can damage the roof and your home. Clean the gutters and prevent this from happening. Insects like mosquitoes and termites and critters like squirrels and birds love making nests in gutters. It may seem harmless but insects and animals can ruin the roof and exterior walls of your home. Avoid the cost of roof repair and wall repairs with gutter maintenance. This might seem like we are overreaching, but it’s completely true. With gutters that are clean, water will not be able to cause water damage to the roof, foundation or your home, or your lawn. These factors are important to the value and aesthetic of your home, so keep them safe with gutter maintenance. Benefits of cleaning your gutters can protect not only your roof but your entire home, as well. If you need residential roofing services in Dallas, TX, call Eclat Roofing at (214) 373-1500 today. Posted in Uncategorized on August 17, 2017 at 1:52 pm by Eclat Roofing. Steep roofing in Dallas, TX has many benefits. Commercial and residential clients should consider this style of roofing for numerous reasons. The largest being that is the one roofing style that continuously directs moisture away from the home and promotes indoor temperature regulation – as a roof is supposed to. Other roofing styles, while suited for specific jobs like energy saving, or to serve as storage space, don’t meet the requirements of a classic roof the way a steep roof does. If you get the chance to design your own home, or re-roof your house, you should consider every option available. We’d like to make sure our customers have the informative resources to help them make educated decisions. Roofing is more than just the cover above your head in a home. If done right, roofing can save money, provide storage space, act as a patio area or collect energy. Householders simply need the direction to make these things happen for them. Steep roofing has many benefits for residential and commercial clients. Ice dams are terrible for homes because frozen pooled water just leads to create roof leaks and wreak havoc on home investments. Avoid spending the extra money with a steep roof. It’s impossible for water to gather on a steep slope. The steeper the roofer the faster moisture rolls away from the home. With rain and snow falling away from the roof as fast as it collects on the roof, ice dams are a thing of the past. 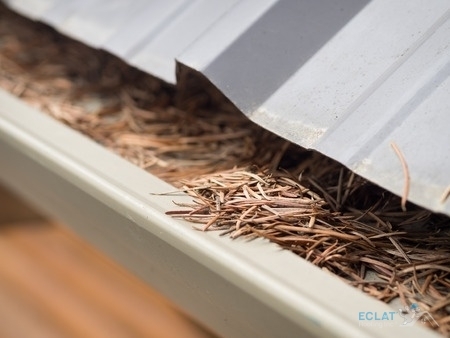 Debris won’t be a problem when you install a steep roof of your choice material with Eclat roofing. 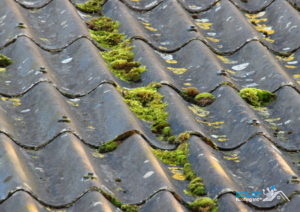 Also, with less moisture gathering on the roof, you have less chance of moss and algae formation, growths that have been killers of great roofing systems on less steep roofs. For more information about steep roofing in Dallas, or other Eclat roofing types call us now. Dial (214) 373-1500 for more information. Posted in Uncategorized on July 14, 2017 at 7:05 pm by Eclat Roofing. Aside from their utility, gutters can also provide an attractive complement to the exterior of a home. Gutters provide an invaluable function for both residential and commercial buildings. Excess rainfall can stand as the biggest enemy to the long life and continued functionality of a roof. An adequate gutter system protects your roof from rainfall through its systematic removal and relocation. Like all components of a roof, however, gutters will eventually need replacement. To tell whether you need gutter repair, look for the following signs. A gutter system should provide a seamless pathway for water to travel away from a structure. Any cracks or splits in the gutter system should get repaired immediately. These fissures provide an outlet for water to escape and relocate near the building’s foundation. As water collects around a building, you risk foundation trouble, flooding in the basement, and staining to the walls. If your gutters have begun to sag or separate from the building, this presents another clear sign that you need gutter repair or replacement. This often happens because of excess debris that has clogged or obstructed the gutter. Water cannot flow effectively through the gutter system, and eventually weighs the entire structure down. The weather-resistant nature of gutters should allow them to hold up their appearance for quite a long time. Peeling paint or rust on gutters serves as a sign that the system has aged past the point of acceptability. In order to get the most from your gutter system, you’ll want to keep it updated. 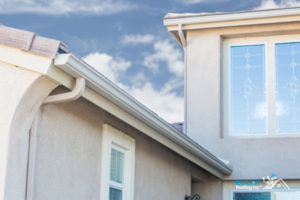 For help with gutter repair in Dallas, TX contact the seasoned professionals at Eclat Roofing. We are the local professionals not just for gutters, but for all roofing-related services. For more information, call us today at (214) 373-1500. Posted in Uncategorized on June 13, 2017 at 4:52 pm by Eclat Roofing. Contact Eclat Roofing today if your roof is damaged. Apply House & Deck Wash generously with the hose-end sprayer. Allow it to soak into the affected area for 3-5 minutes, but do not allow it to dry. Rinse the surface earnestly with the ‘Rinse’ setting on the hose end sprayer. For tougher mold staining that is deep-seated on your roof, apply Concrobium Mold Stain Eraser. This solution doesn’t require scrubbing and doesn’t contain bleach, so it won’t discolor any surfaces. Click here for more information on using Concrobium Mold Stain Eraser. When roofing materials are exposed to significant moisture they can become susceptible to mold growth. This can cause your roof to raise and rot. This particularly true for north-facing and shaded sections. Exposure to mold and mildew can lead to damaged and deteriorated shingles and as well as other roofing surfaces. If you need help repairing roof damage caused by mold or mildew in Dallas, TX contact Eclat Roofing today at (214) 373-1500. Posted in Uncategorized on May 10, 2017 at 3:36 pm by Eclat Roofing. Once the storm has passed and it is safe to do so, go outside and survey your property. Look for any obvious signs of damage to your home, trees, vehicle, and other property. If hail has beat up your car or the wind has knocked down a fence or tree limbs, there is a good chance that your roof has sustained some damage as well. Because your roof covers a large surface area and is typically higher than most of your property, it is more vulnerable to damage. If you do not see any problems from the ground, it’s a good idea to pull out the ladder or call for an inspection. Do you see any dented shingles or cracked tiles on your roof? Has the wind knocked a few pieces or sections loose? These problems should be repaired quickly to prevent possible roof leaks. Hail can leave behind small dents or even large holes in your roof if it is big enough. Check shingles for bald or shiny spots where the asphalt granules have been knocked loose, and check your gutters for piles of these granules. If climbing up to your roof is not an option, you can also check your attic for a leak. Wet insulation, mold or mildew growth, and wood rot can indicate a roof leak. If you find any problems in the attic, it’s best to call for a professional roof inspection before the problem gets worse. If you spot any of these signs of roof damage after a storm, call Eclat Roofing for fast, professional storm damage roof repair in Dallas, TX at (214) 373-1500! Posted in Uncategorized on April 5, 2017 at 4:37 pm by Eclat Roofing.